Create a special T-shirt for each member of the wedding party! 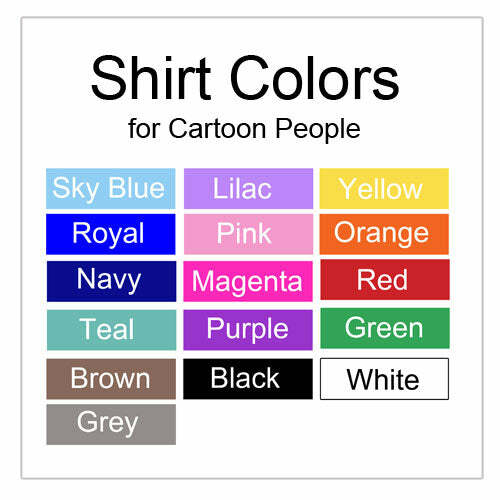 Select any one of our cartoon people to resemble the person, personalize it with the person's title, the name of the bride & groom (or the name of the person who the shirt is for, and the wedding date. These shirts are perfect for wearing to the wedding rehearsal. Available in adult and children's sizes.